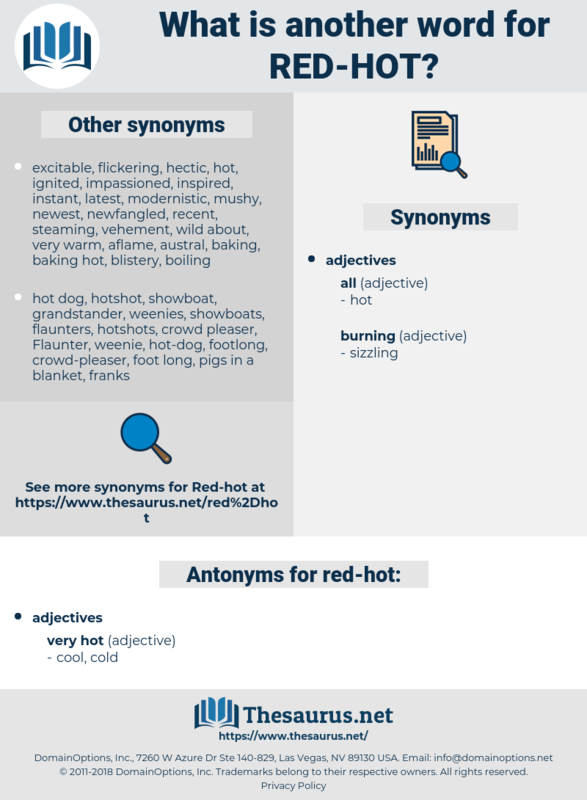 What is another word for red hot? unconcerned, unimportant, unexcited, apathetic, unenthusiastic. past, old, old-fashioned, preceding, succeeding, future. impotent, disinterested, weary, pessimistic, uninterested, lethargic, uncaring, unwilling, unworried, dispassionate, Unpassionate, weak, frigid, indifferent, doubting. calm, flat, moderate, peaceful, mild, unhappy, subdued, impassive, passive, gentle. wonderful, respectable, respected, good, magnificent, reputable, proper. tasteless, flavorless, moral, bland, clean, dull, decent. damp, unsensual, wet, arctic, moist. ancient, antique, despised, obscure, frozen, antiquated, old fashioned, Coolish, subzero, retro, unfashionable, impersonal, unexceptional, wintry, disliked, remote, hoary, fusty, archaic, retrograde, insignificant, obsolete, age-old, dated, refrigerated, passe, hated, glacial, unknown, objective, timeless, historical, bygone, rejected, old-time, musty, late, antediluvian, chill, Indistinguished, Coldish, chilled, cooled, former, unemotional, oldfangled, dilettante, ice-cold, anachronistic, detested, forgotten, detached, venerable, washed-up, inconspicuous, slow, bone-chilling, out, unpopular, algid, shivering, anonymous, historic, numb, olden, unmodernized, icy, discarded, benumbed, undemonstrative, aged, kaput, unheated, snowy, nameless, reserved, chilly, unsexy, snappy, outmoded, bitter, moth-eaten, disused, iced, nippy, emotionless, ageless, dateless, outworn, frosty, dabbler. 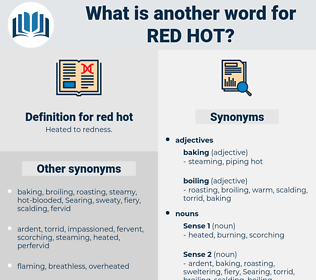 rheidae, rowdy, riot, raid, red-eye, route, rawhide, riata, reread, ret, red tai, ratio, rout out, red-hot, rutty, rooted, rewrite, reata, rood, reheat, rotate, redhead, redwood, raita, root, ratitae, reedy, red, redheaded, rudd, rotated, redo, 33rd, root out, rare earth, rete, reid, rat-a-tat-tat, rat-a-tat, rat, riyadh, rite, reed, roadway, ratite, road, ratty, ride out, ruddy, readout, roth, rutted, raw wood, rot, red haw, red heat, radiate, rat-tat, rate, rearward, ruth, reit, rout, red tide, 23rd, rad, ruta, ride away, rod, rut, RHD, 3rd, ready-to-eat, rude, radio, rote, Rede, retie, rit., ride, reword, rodeo, rotted, raw data, 43rd, redeye, reward, ready, read-out, rota, rid, rarity, read. dog, frank, hotdog, wiener, hot dog, weenie, wienerwurst, frankfurter bun, hotdog bun, frankfurter.